Dietary supplements are more popular than ever. Many of us take them to improve health and ward off disease. Unfortunately, most people don’t do due diligence before taking supplements. A list of benefits—without scientific backing—on a webpage is enough to convince folks to start taking supplements. You may even believe that taking a higher quantity of supplements results in better health. While some supplements certainly do offer health benefits, others may actually harm your health. According to research, these popular supplements may increase your cancer risk. B vitamins have become synonymous with stress relief. Many believe they’re the key to easing stress. Others take vitamin B12 supplements every day to boost their energy levels. The truth, is taking B vitamins may ease stress and boost your energy if you’re deficient, but if you’re getting enough B vitamins from your meals, they won’t make any difference. They may even increase the risk of lung cancer, according to a recent study. In the study involving 77,118 participants aged between 50 to 76 years, researchers found that B vitamins from multivitamins increased the risk of lung cancer by up to 40 percent among men. It’s important to note that the use of vitamin B6 and B12 from individual supplement sources didn’t increase the risk of cancer. And women didn’t have a higher risk of lung cancer after taking vitamin B6, B12 and folate supplements. To be on the safe side, get your B vitamins from natural sources such as whole grains, legumes, dark leafy greens, citrus fruits, seeds and nuts. Vitamin E is essential for strengthening your immune system and keeping your eyes and skin healthy. In recent years, vitamin E supplements have become very popular even though some of their supposed benefits have not been proven. Studies on this supplement are very disappointing. It has only been shown to be beneficial to people who are deficient, but that’s a very small number since vitamin E deficiency is very rare. In fact, men are better off skipping this supplement, since it increases the risk of prostate cancer, this study shows. You can get vitamin E from green leafy vegetables, seeds and nuts instead. Beta-carotene is a compound found in orange and yellow vegetables, such as pumpkins, carrots, winter squash and sweet potatoes. Eating foods rich in this compound can lower your risk of cancer, improve cognitive function and promote skin health. However, beta-carotene supplementation doesn’t offer these benefits. The results of this study showed that beta-carotene didn’t lower the risk of any type of cancer. It actually led to a higher risk of stomach and lung cancer. 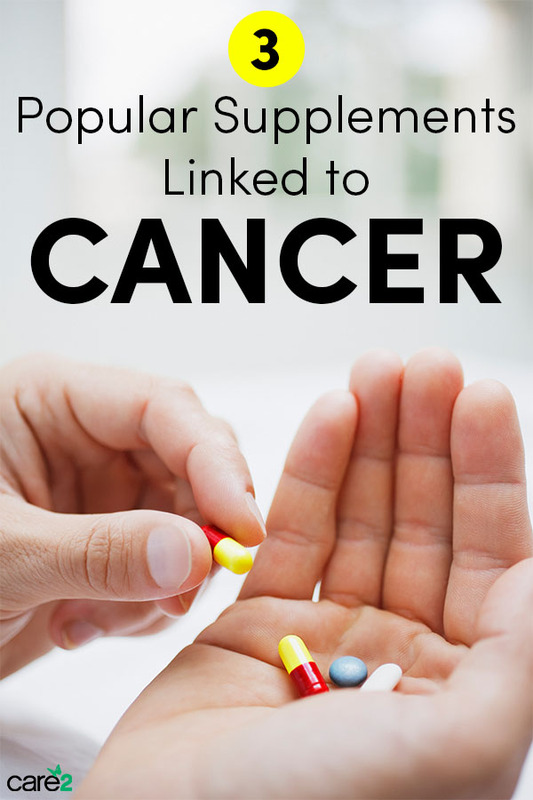 Chances are you’ll find studies claiming that these supplements prevent some types of cancer. I can’t tell you which study to believe, but I’m urging you to get these vitamins from natural sources. If you do that, you’ll be sure you’re not doing your body any harm.